The Brain & Spine Foundation produce a range of expert, yet accessible, publications on a variety of neurological symptoms and conditions (all accredited by the Information Standard). Our full range of booklets and fact sheets can be viewed and downloaded for free here. 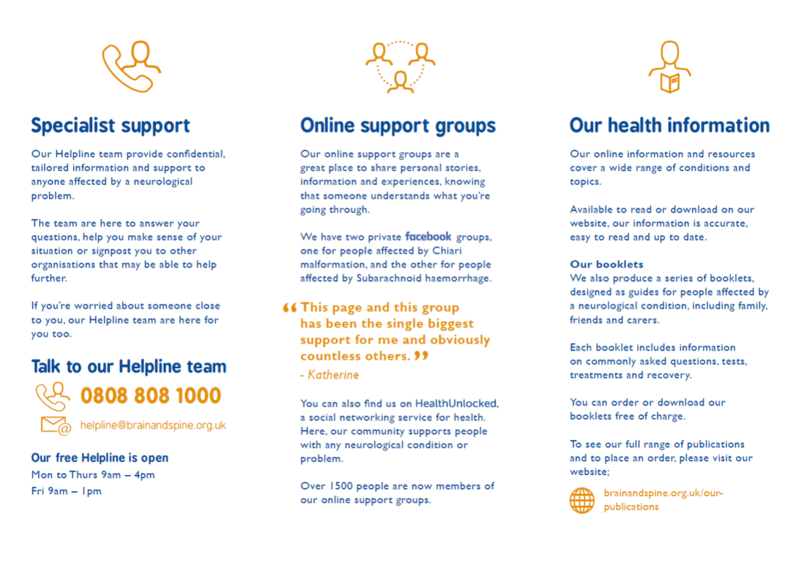 In addition, if you work within the NHS and would like hard copies of any of our booklets (and would possibly like to order in bulk), then we can send these to you for free. (We also supply our booklets to the private sector at a small cost.) Please email our Helpline with your requirements. 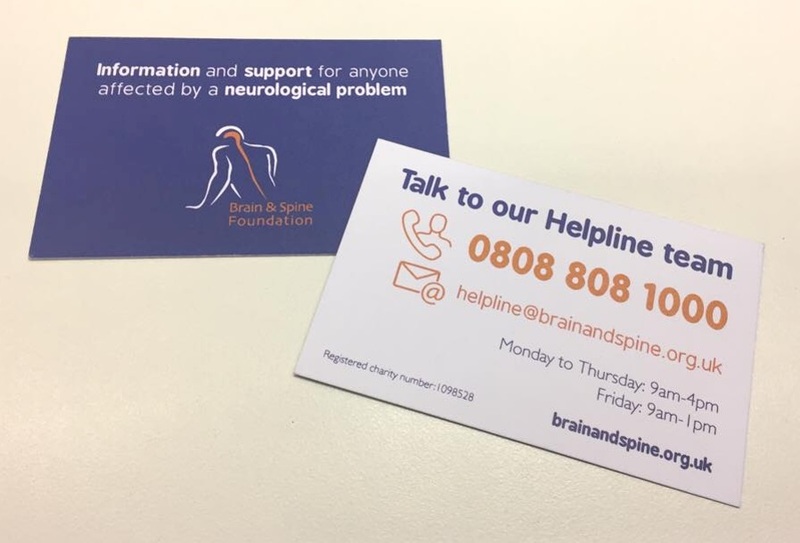 One of the key ways in which patients and carers discover the support and information available at the Brain & Spine Foundation, is via our materials – this may be as simple as a poster in your GP Surgery, or a BSF flyer or Helpline card handed to a patient via you, their health professional. If you would like to print materials yourself, we have a wide selection posters and flyers that can be viewed and downloaded for free below.